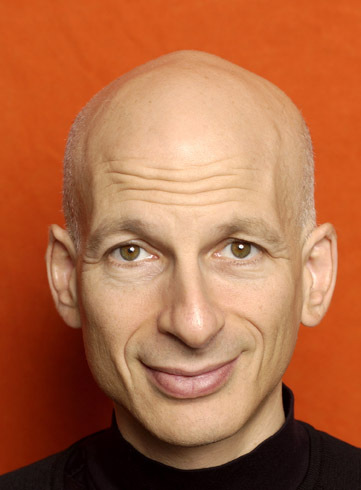 Randy Finch's Film Blog: Seth Godin: "Bring Me Stuff That's Dead, Please""
Seth Godin: "Bring Me Stuff That's Dead, Please""
RSS is dead. Blogs are dead. The web is dead. Great music wasn't created by the first people to grab an electric guitar or a synthesizer. Great snowboarding moves didn't come from the guy who invented the snowboard... No one thinks Gutenberg was a great author, and some of the best books will be written long after books are truly dead. Only when an innovation is dead can the real work begin. That's when people who are seeking leverage get to work, when we can focus on what we're saying, not how (or where) we're saying it. The drive-by technorati are well-informed, curious and always probing. They're also hiding... hiding from the real work of creating work that matters, connections with impact and art that lasts. I love to hear about the next big thing, but I'm far more interested in what you're doing with the old big thing.